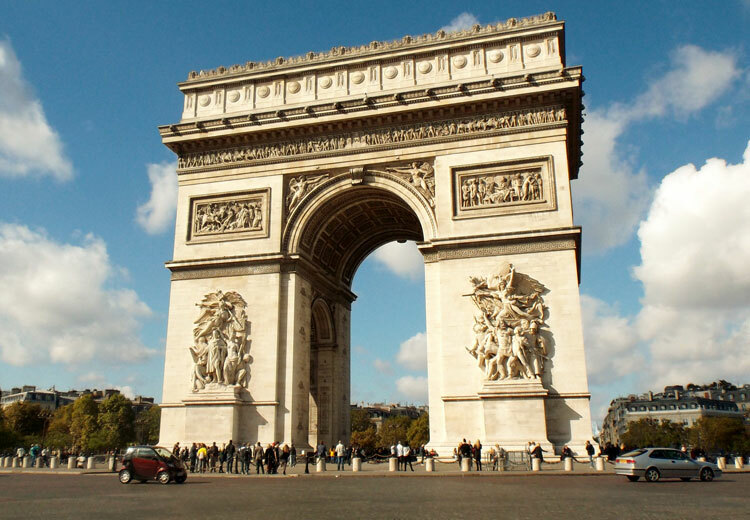 Located in the 8th district, the Champs-Elysees is considered by many to be the most impressive avenue in all of Paris. The avenue connects the Place de la Concorde and the Place Charles-de-Gaulle, two very large and heavily trafficked squares in the capital of France. Measuring roughly 1,910 meters long and 70 meters wide, the sheer size of the Champs-Élysées is enough to impress the most jaded visitor.